South African Banks are issuing a new type of credit card. They hand out the cards, without educating the customer on the dangers of the new contactless credit cards. These types of cards are available for both Visa and Master card. Standard bank has made these available since 2012. Other major banks are catching up with this new technology. It does not require a pin on a purchase. It does not need a signature on a purchase. How to use a Tap type card. Once you tap the card on the terminal, they will bill your card for the purchase amount. How a Tap Type card works. The way to identify if a card is a tap type is to look for the wireless sign. The credit card information transmits via RFID (Radio Frequency Identification). This will make contact with the bank. The card never leaves a person’s hand. It is quicker to transact than the PIN method. Banks offer protection against fraudulent transactions. Anyone can use the card and purchase up R200 multiple times, without a pin. Wireless Range -Allows “protected” data to be harvested. They say the tap range is at most 5cm, but this is not always true. They can clone your card without actually having your card. It is even possible to extend the range, to make it easier for wireless access by criminals. They can install apps on a cellphone which can pick up the wireless signals that the cards transmit when the card is in use. They harvest the information that they then can use to duplicate the card. A survey has been done in the UK by “Which?”Magazine. They bought card scanners which are cheap and easily obtained. They could easily steal contact information that is “secure” from TAP cards. Although there are many credit card terminal ready for TAP in South Africa, a lot of them are not in use yet. This could be because most South-African’s do not have TAP cards yet. The contactless credit cards are particularly vulnerable when carried or used in a crowded shopping malls restaurant queue etc. The card is vulnerable to people with the right technology, that are close by when the card is in use. Better training is needed from SA banks to consumers regarding the Tap pay cards listing the dangers. 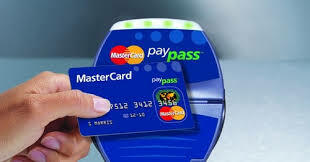 Most banks in South Africa are now issuing all new cards with the Tap installed. In South Africa, there is no option for customers to decline a tap-enabled card. Consumers must accept this or have no card!Most consumers do not realise they have the Tap enabled cards much less how to use them. There a few methods which people try to avoid wireless card cloning and information theft. Some people have put in a lining of tin foil to scramble this signals, but there is some doubt if this even works. The growth of Contactless Card Industry. Europe is not far behind with this system gaining popularity as well as Australia and even now Japan. It appears for the consumer that the convenience of the Tap credit cards is outweighing the risks associated with it …. but users should be aware of the facts and dangers behind their card and given the choice of whether they want this technology or not.